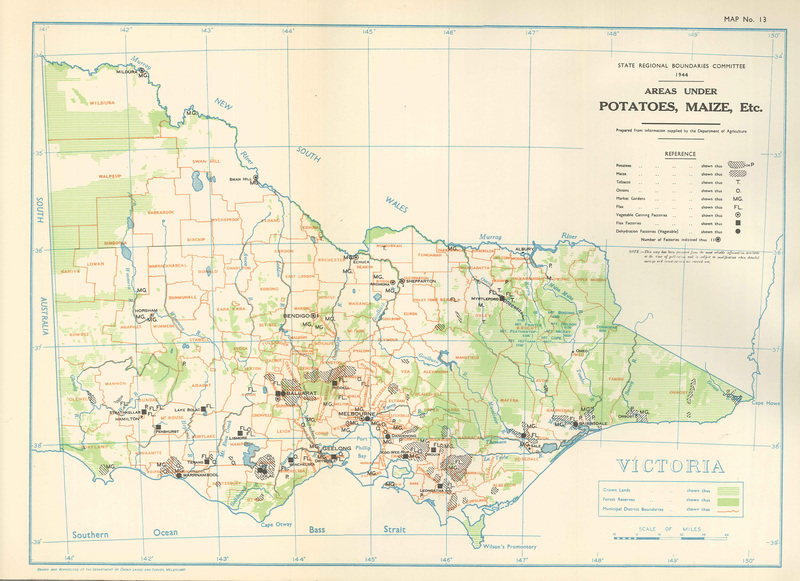 In 1944 the State Regional Boundaries Committee produced an Atlas of maps covering Victoria's Land Use, Population and Natural Resources. This map shows the areas under market gardens and crops such as potatoes and maize in 1944. Also shown are locations of associated factories. These maps were developed from often limited information but provide an important historical perspective, showing areas where certain land uses occurred over 70 years ago.